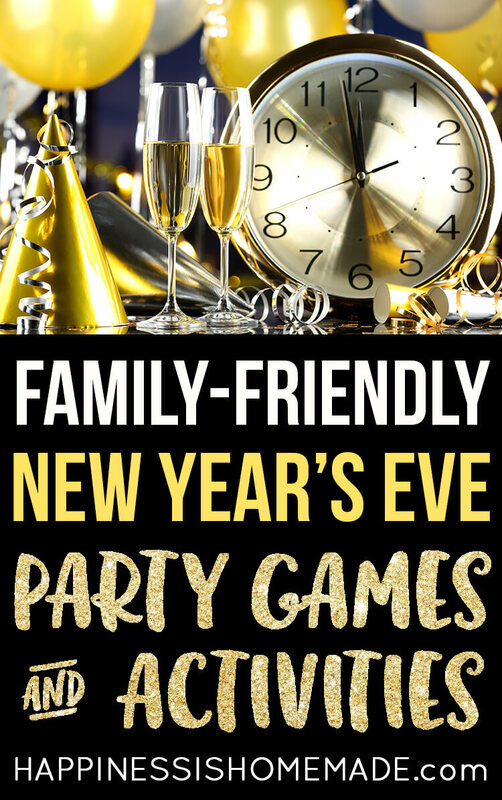 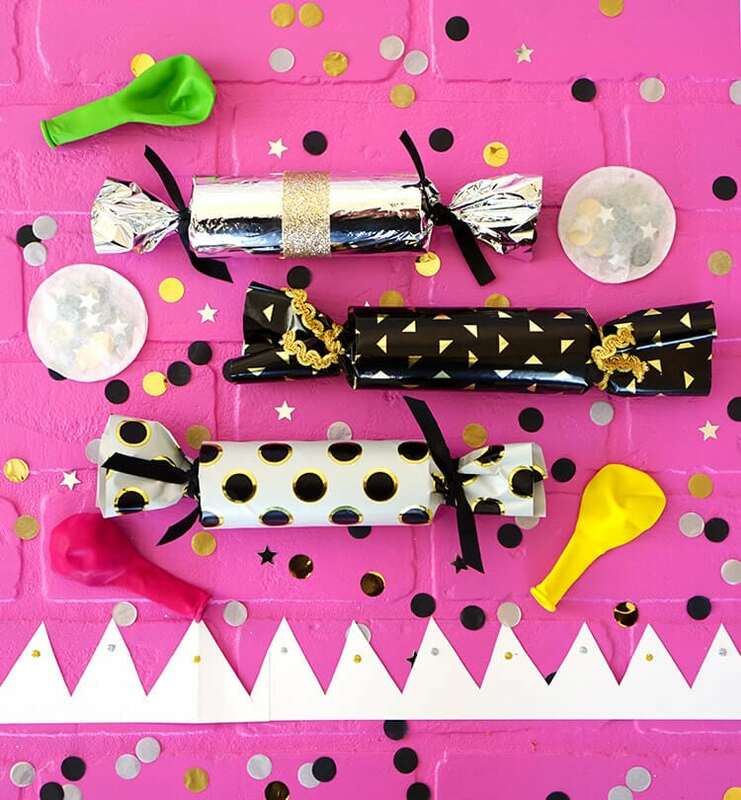 Make your own DIY New Year’s Eve party crackers and fill them with confetti, balloons, paper crowns, popping snaps, noisemakers, and more! 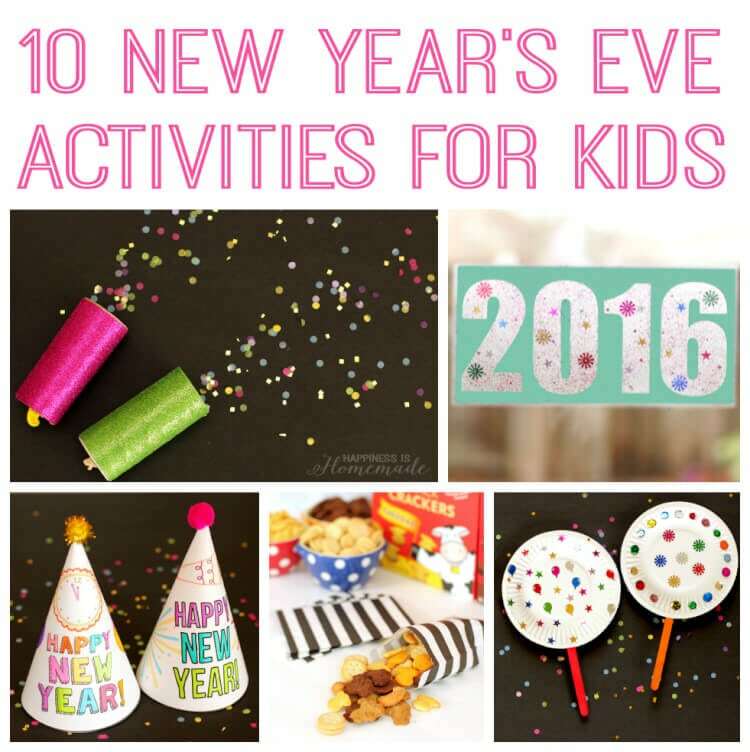 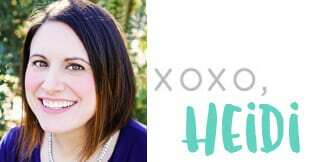 TONS of fun for all ages! 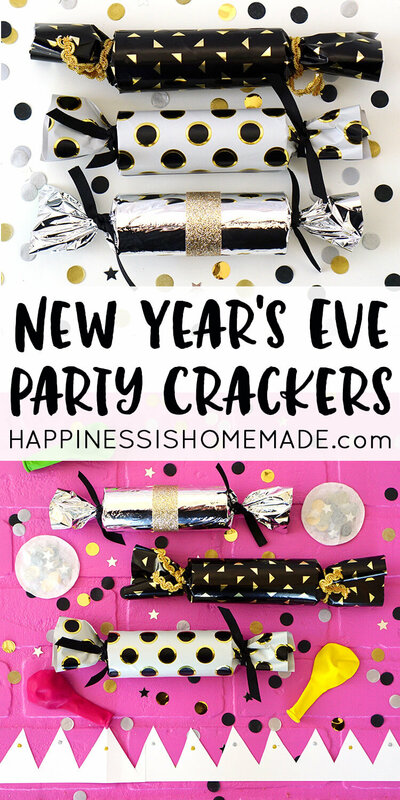 Party crackers are a fun holiday tradition and a great favor for all of your New Year’s Eve party guests (psst…they’re also a great way to keep kids entertained until the ball drops at midnight…or 9:00 pm!). 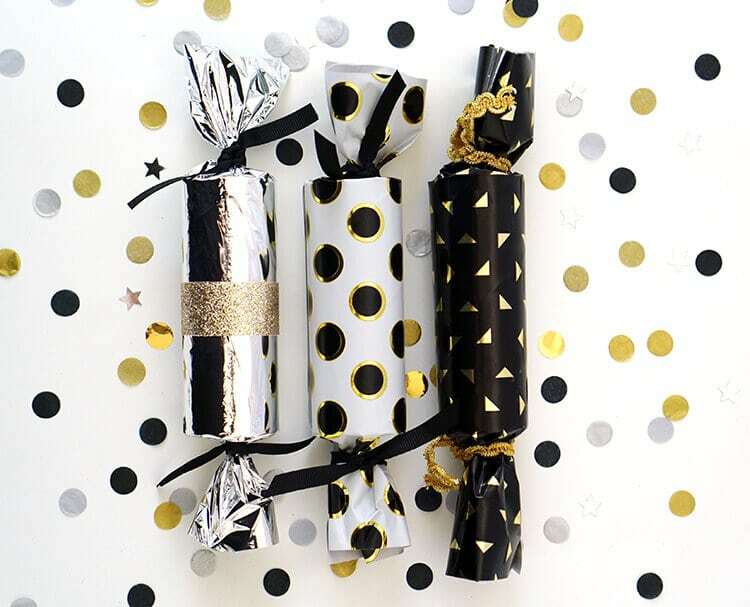 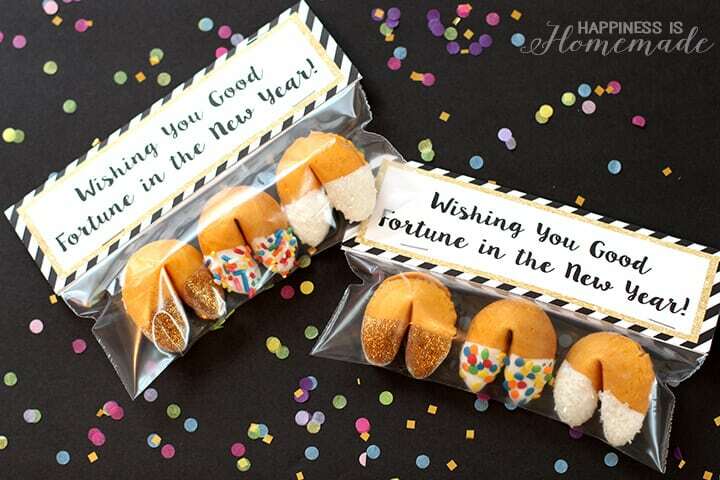 These DIY New Year’s Eve party crackers are quick and easy to make, and they’re full of fun goodies for kids of all ages! 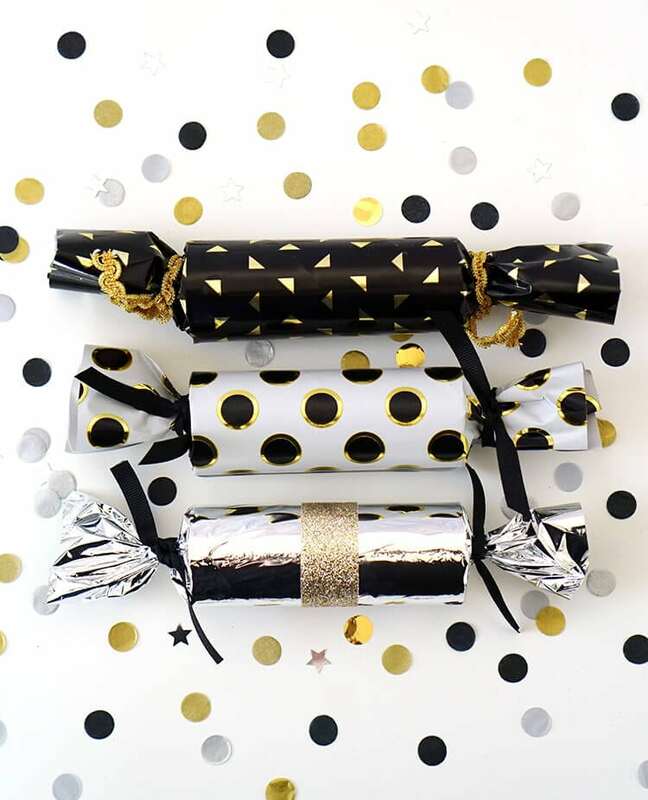 Cracker Fillers – confetti, balloons, noisemakers, paper crowns, party poppers, snap pops, etc. 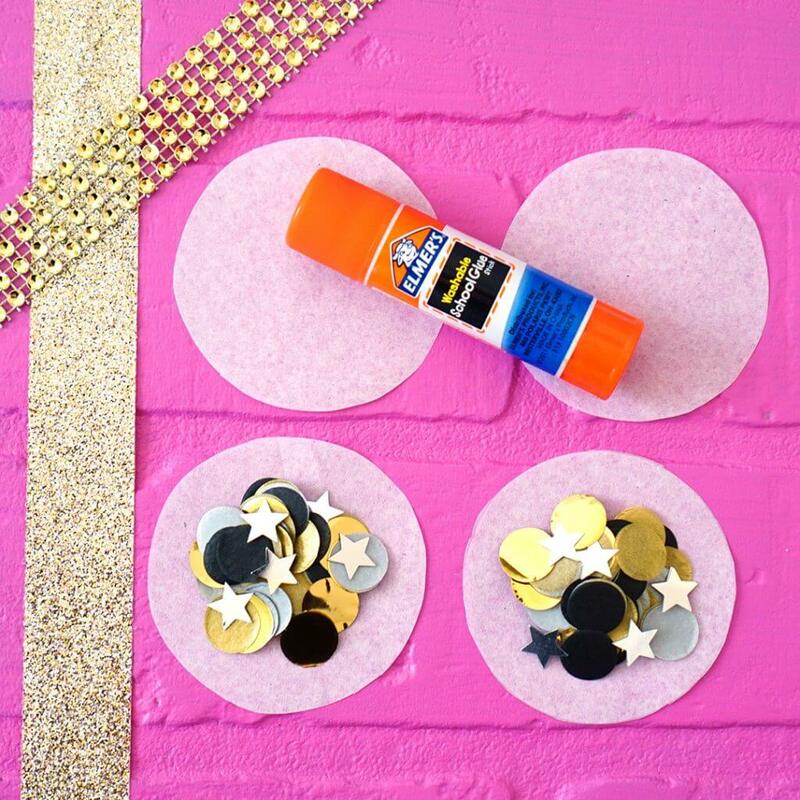 To begin, I started by making the fun fillers that go inside of the party crackers. 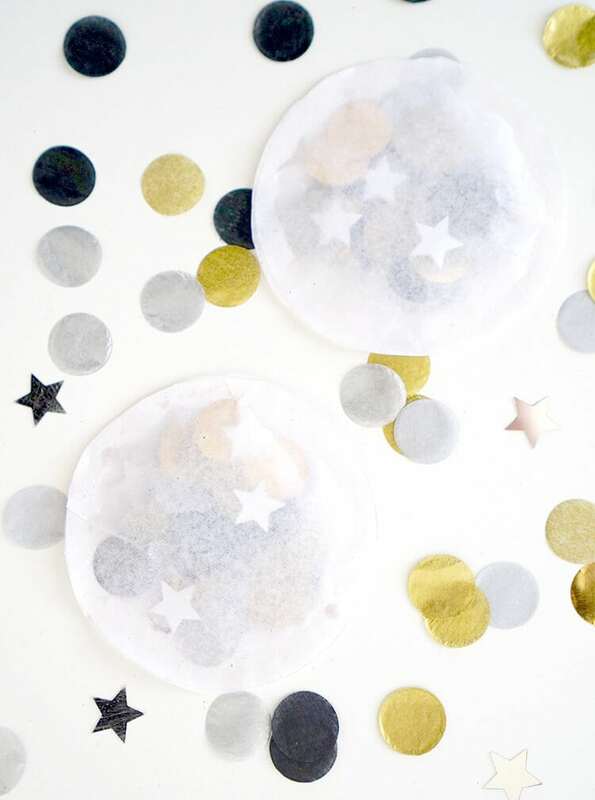 I cut pairs of circles from white tissue paper and filled them with a sparkly mix of shimmery confetti. 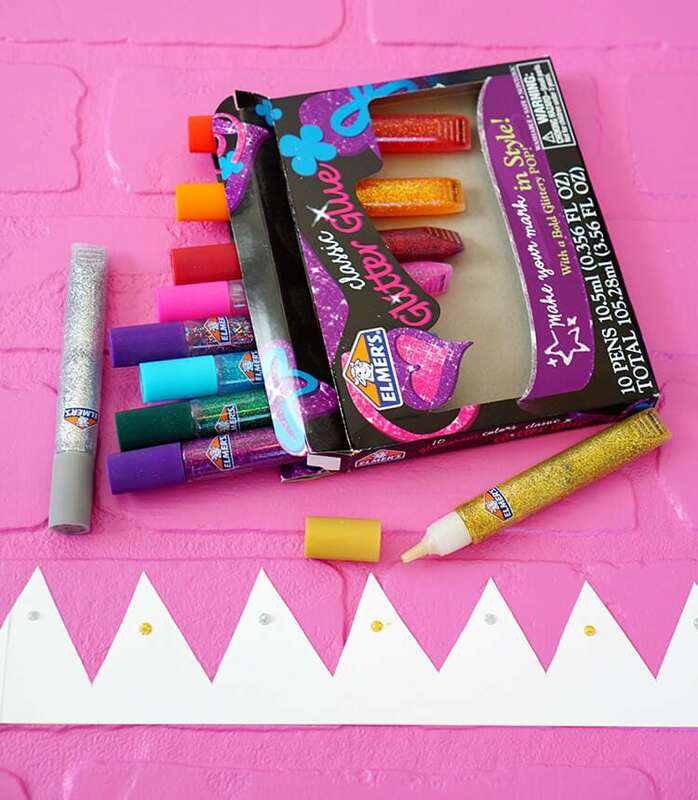 Next, I used my glue stick to join together two sheets of legal-sized paper (along the short edge). 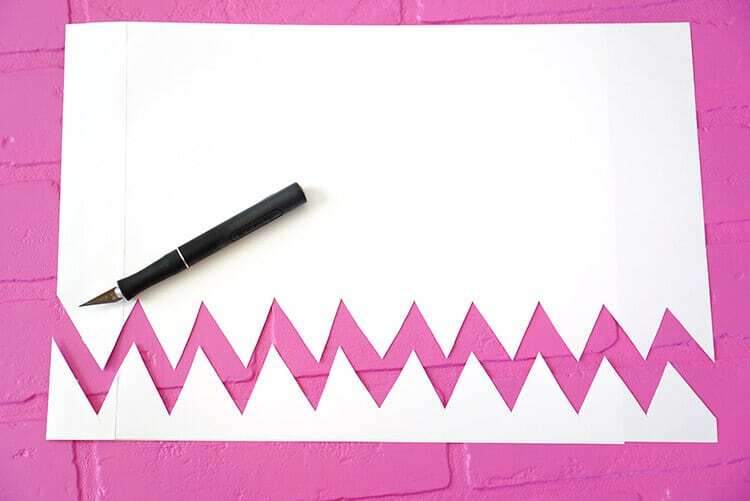 Then, I folded the paper in half and used an X-acto knife to quickly and easily cut out a paper crown. 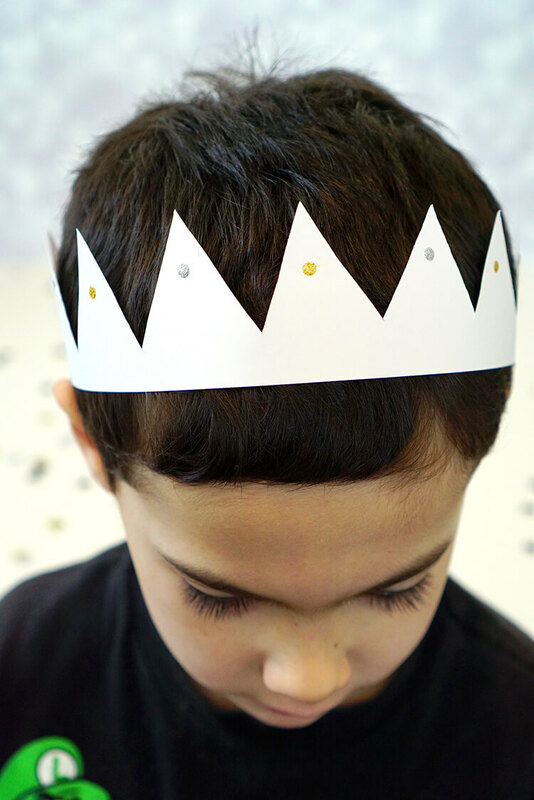 I embellished the crown with sparkly dots of Elmer’s glitter glue and set the crowns aside to dry. 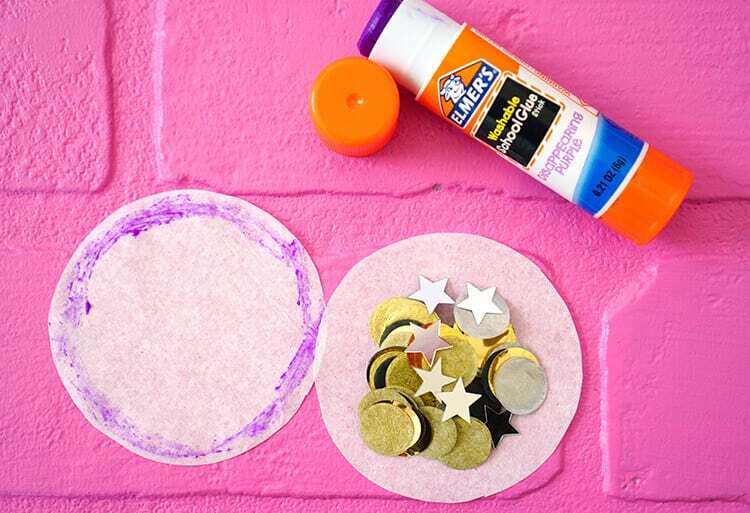 When the glitter glue was dry, I used the glue stick to overlap the ends of the paper to form it into a circular party crown. 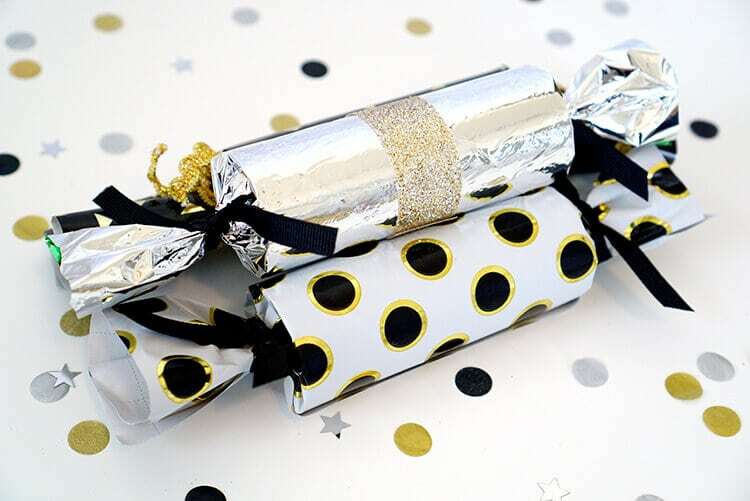 To make the party crackers, cut a sheet of foil tissue paper (or wrapping paper, glitter paper, etc.) 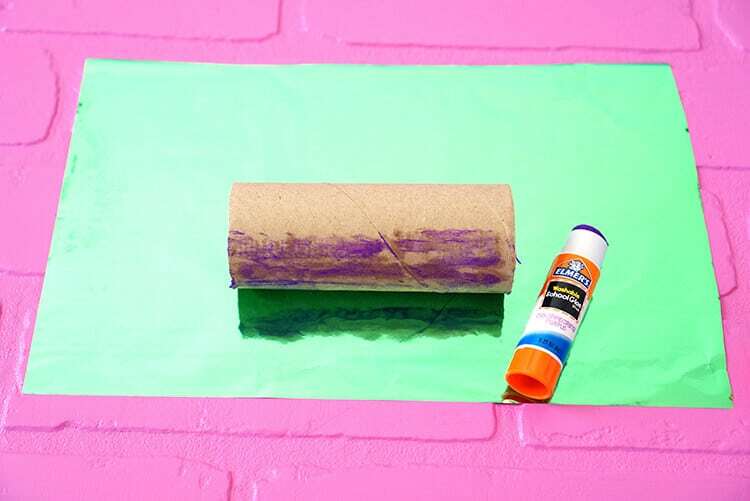 approximately 7″ x 11″ and use the glue stick to adhere the paper to the cardboard tube. 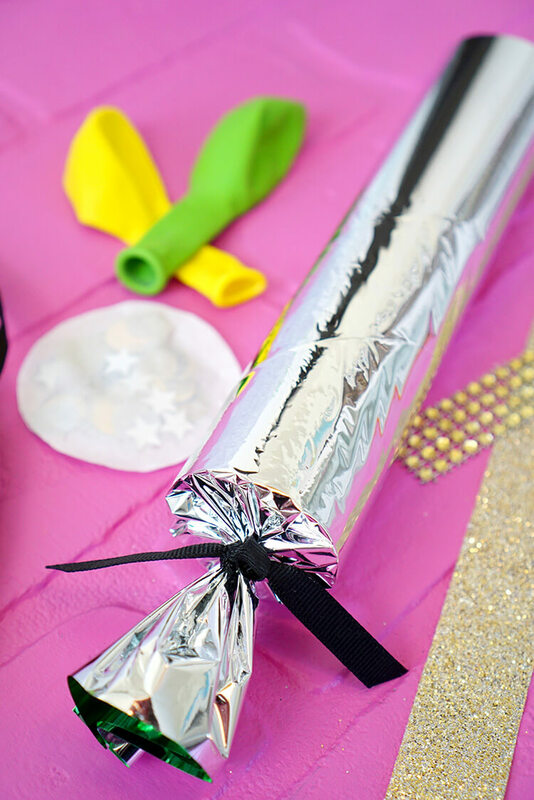 Use a ribbon to tie off one end of the party cracker. Fill the open end of the cracker with the paper crown, confetti packet, balloons, and anything else you wish. 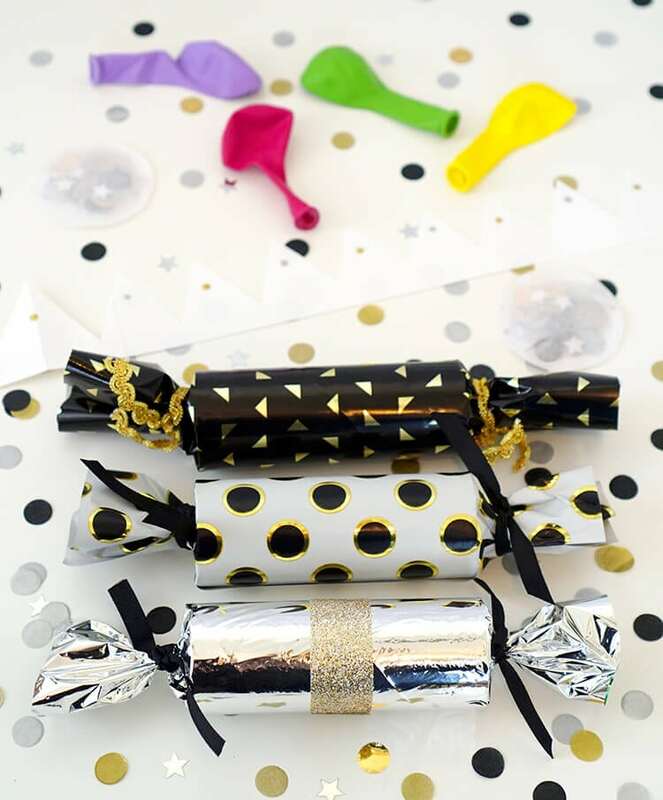 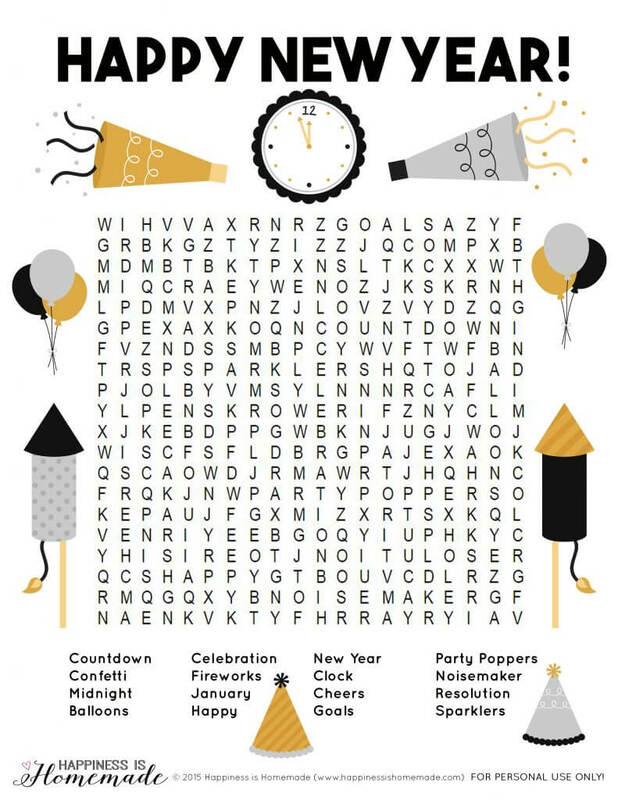 For older children, party poppers and snap pops are a fun addition to the party cracker, and younger children love whistles and other noisemakers! 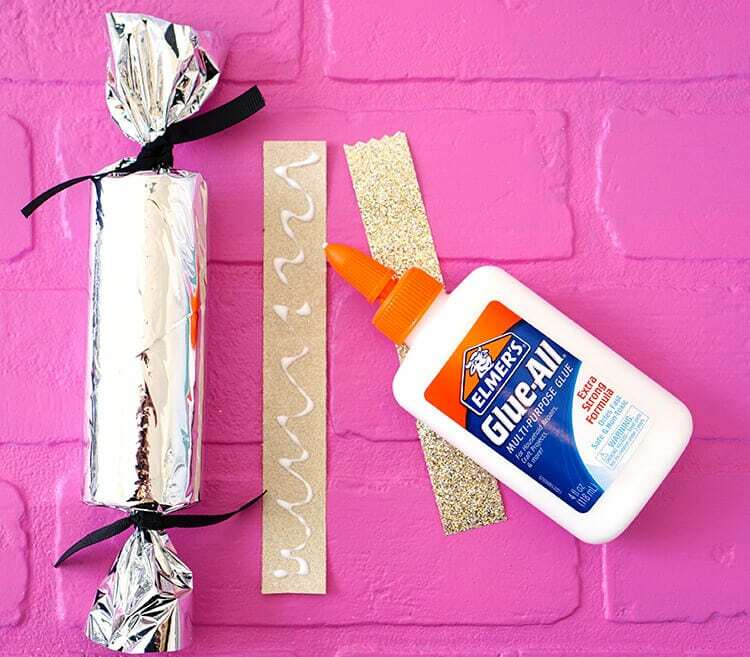 Tie the other end closed with a piece of ribbon, and embellish the New Year’s Eve party cracker with ribbon, glitter, rhinestones, etc. 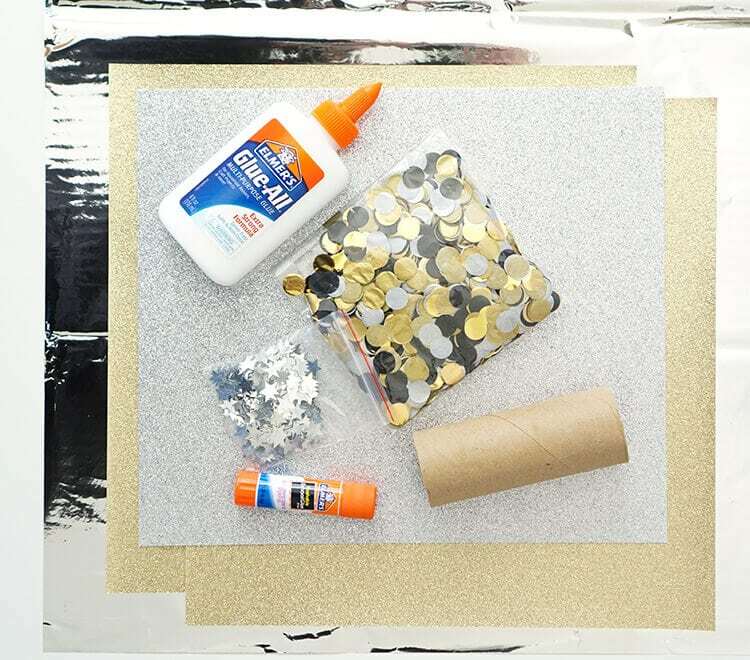 and Elmer’s Glue-All. 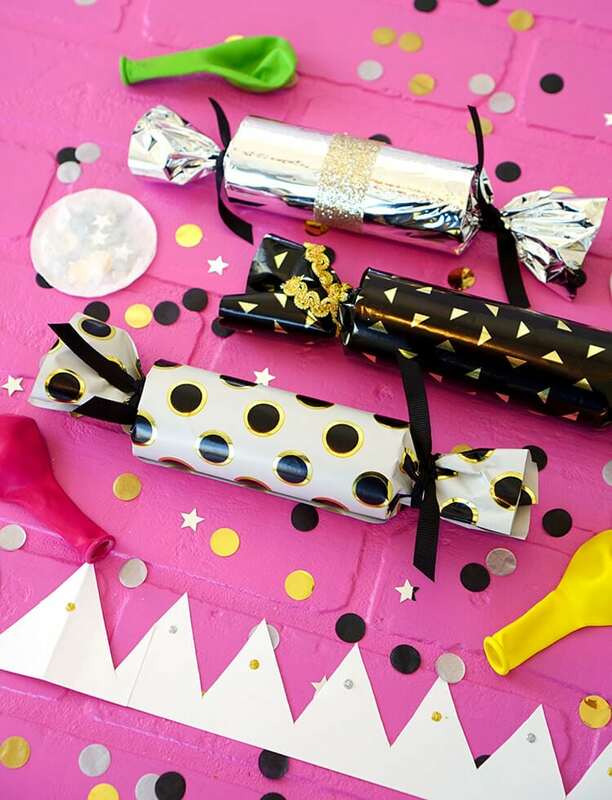 I can’t wait to give these party crackers to my kids and their friends for New Year’s Eve – they’re going to love them!